The Birmingham Jewellery Quarter is Birmingham’s Historic and Vibrant Gem. 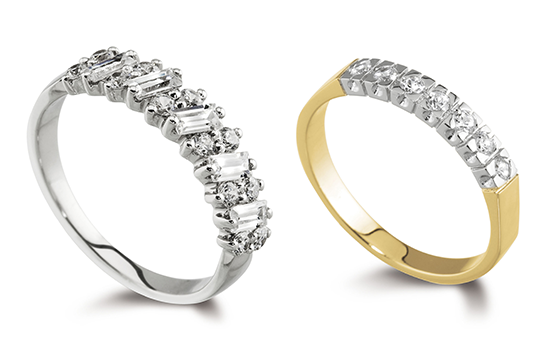 With 100’s of jewellery retailers and designers it is the UK’s centre for Jewellery. Within the Jewellery Quarter of Birmingham there’s more than just jewellery, you’ll also find a great choice of some of Birmingham’s best Art Galleries, Museums, Restaurants and Bars. For over 200 years Birmingham’s Jewellery Quarter has been the home of some of the worlds most highly skilled goldsmiths and jewellery makers. The advent of shops opening to the public is a recent phenomenon, with the majority of retail outlets springing up since the 1970’s. And now the area is widely known as a place for both the trade and public to browse and buy the finest products at the keenest prices. Tradesmen worked from home, or in small workshops, and on the whole specialised in a particular craft. Many of these specialist craft and services complimented each other, strengthening the sense of community in the area and fostering a national and international respect for the industry in the area. The Jewellery Quarter in Birmingham offers a magnificent variety of some of the most popular jewellery shops in Birmingham. Birmingham’s jewellery quarter is the home to some of the most gifted and experienced jewelers in the UK who can provide their customers with exceptional jewellery pieces and services. The Jewellery Quarter in Birmingham has been established for over 200 years and provides a variety of popular jewellery shops. The Jewellery Quarter Birmingham is now widely recognised as the place to come for the finest jewellery shops in Birmingham. So if you’re looking to visit the best outlet for jewelers in the UK, you should definitely come to The Jewellery Quarter in Birmingham. 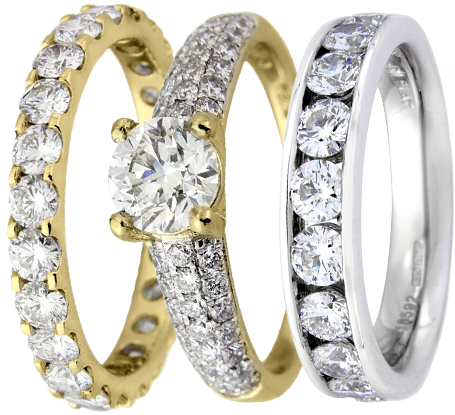 Whether you are looking to purchase a stunning jewellery piece for that special person in your life, repair an old watch or bracelet, have a jewellery insurance evaluation or are looking for certified diamonds, you should definitely visit the best jewelers in the UK at The Birmingham Jewellery Quarter. You can experience jewellery shops that are deep in culture and history and browse jewellery pieces from some of the most talented jewelers in the industry. As well as visiting some of the most popular jewelers in the UK to take a look at their range of diamond engagement rings, wedding rings, watches, earrings and so much more, you also have the choice of retail shops, pubs, hairdressers, cafes and restaurants – so you can shop until you drop, have a makeover, a bite to eat and refreshing drink.